Are you looking for a way to fit a healthy diet into your busy lifestyle? Dr Gaye’s range of nutritious shakes and snacks offer non-dairy shakes, perfect way to get the vitamins and nutrients your body needs without requiring extensive preparation times or drastic lifestyle changes. Nutrition that fits your schedule! The market is packed with diet pills, meal-replacement options, and quick-fix detox programs. Not to mention protein shakes advertised as being for either men or women only. Dr Gaye products aren’t about a quick fix or designed for only one or two members of your family. Instead, Dr Gaye aims to provide your entire family with nutrient dense products that have only the finest, all-natural ingredients to complement your current diet. Dr Gaye can help you live healthy and feel better by making sure you get all of the vitamins, minerals, fats, and proteins you need. 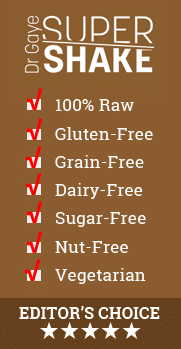 All Dr Gaye products are organic, grain-free, gluten-free, sugar-free, dairy-free, 100% raw, unprocessed, and vegetarian. They can easily be added into your daily routine and are perfect for special diets, such as Paleo, raw, 5:2, Bullet Proof and alkaline. 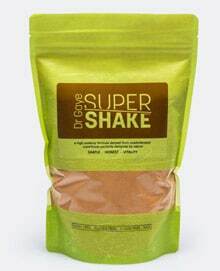 Dr Gaye Super-Shake – A great way to start your day. These tasty shakes are made from unprocessed, raw ingredients and take only a minute to prepare. They make a quick and nutritious breakfast for your busy mornings! 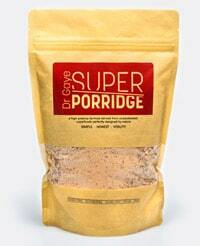 Dr Gaye Super-Porridge – Much more than a meal replacement. This oat-free and grain-free porridge is packed with proteins and vitamins, making it a satisfying and nutritious meal unto itself that can be enjoyed at time of day. Dr Gaye Super-Blend – A perfect choice when you are away from home, at work or on the road. 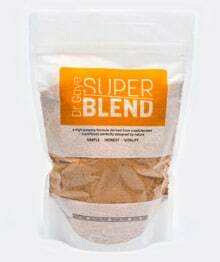 This amazing blend contains 14 nutrient packed ingredients and comes in a powder that can be mixed into anything. 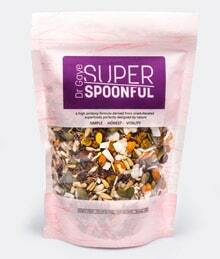 Dr Gaye Super-Spoonful – For those who need of some serious bio-available, food grade nutrition. Yummy snack mix, full of metabolism boosting ingredients, that you can sprinkle onto any meal or snack food during your day for a little extra nutrition. “I’ve always been “obsessed” with quality, personally, and now professionally as well. As a health and exercise coach, I’d like to optimise my health and be in the best shape possible and as you can guess, I’m helping my clients, achieve the same. Every product I recommend, I test it myself first. I’ve been using Dr Gaye’s Super Shake for over 6 months, almost every day. Over the years, I’ve tried quite a few of the green superfoods and shakes on the market, and can honestly say, that Dr Gaye’s non-dairy shake is of the highest quality. Dr. Morgaine Gaye is not only a world-leading food futurologist, but a fascinating wellspring of foodie knowledge as well. 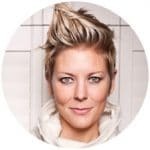 She actively studies food in relation to society, human behavior, culture, history, fashion, marketing, and almost anything else you can imagine. Whatever you want to know about food, from why we eat what we eat to what our dining rituals say about us, Dr. Gaye has an answer. She uses this vast storehouse of knowledge and modern scientific research to predict future food trends.